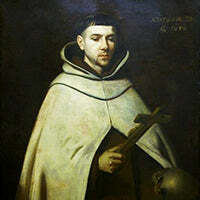 In Dark Night of the Soul, Saint John of the Cross presents for us a portrait painted from his own experience of one who advances successfully through the struggles of the spiritual life. The dark night that St John describes is not abandonment by God but special consideration from Him for those who desire to purify and perfect their souls. With a soul purified from earthly attachments, we can advance through the much quoted but oft misunderstood dark night of the souls into unity with God. By accepting the desolation and difficulty of this process, the soul cooperates with God and opens itself to receiving and revealing more perfectly God's glory. Be not afraid--Dark Night of the Soul, though austere and exacting in its instructions for holy living, is laced with St. John's charity and kindness, his love of all things beautiful and sacred--including you. A Key Book in the Western Catholic Tradition! But not to be read directly by everyone. How could I give this anything but five stars? This is an irreplaceable book in the Western tradition on the spiritual life. Every priest and spiritual director ought to study it carefully. I do not, however, think that everyone should read this book. Everyone serious about the personal prayer life should learn the basic principles in some way. But those who have not had good catechesis, or are too young, or who struggle with a lot of anxiety, or are dealing with scrupulosity, should postpone reading this book directly until a later time. I read it meeting all of these conditions and the result was nothing short of disastrous. However, now I find the principles indispensable, even though I don't feel ready to read it all anytime soon. If you want to learn the principles of this book, but do not think you are ready to read St. John of the Cross, you might consider Upon this Mountain: Prayer in the Carmelite Tradition by Mary McCormack, OCD. (I wish Tumblar House carried this title.) She takes the basic principles of Dark Night and translates it for the "average" person, in a much more gentle manner, and through the lens of St. Therese.